Titan's first injector, the Titan-2, was created in 1988. In 1993, the additive industry was rocked by the advent of the Pac-3, Titan's first micro-controller based additive injector. The Pac-3 was redesigned in 1996- leading to the creation of the ProPac line of injectors, which is still standard in accuracy and reliability to this day! Titan Industries is committed to continuing its role as the world leader in providing innovative, high quality, and cost effective solutions to our valued customers — worldwide. It is our goal to be the best. Professional and knowledgeable personnel, innovative products and unique services provide the foundation for achieving our goal. We continue to support older technology while pushing innovation with creation of new technology. This is shown with the invention of our newest products, the Titan SafTPac, Titan ProPac Infinity, and Titan iMPACt products . Titan Industries maintains support for both new and older technology with enthusiasm. 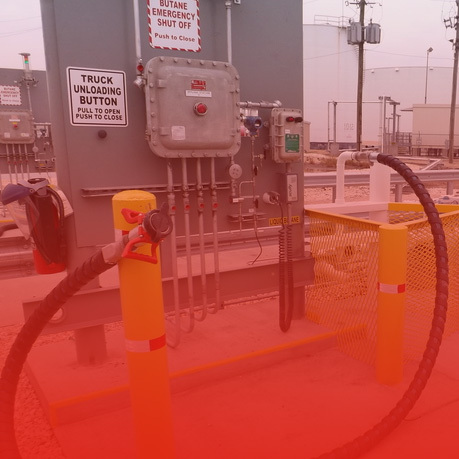 Titan Industries Specializes in onsite service and installation in bulk fuel terminals and pipeline applications. From Additive Systems and tanks to VRU installations to the largest Butane Blending system currently in the US, Titan has specially trained crews ready to handle all of your installation and construction needs. Our field crews travel anywhere in the world for service and installation. They come well equipped with a mobile shop that carries everything they need to perform any Electrical or Mechanical service relating to the Civil Construction, Installation, and Service that our customers require. Professional service and install technicians highly trained to work in fuel terminals and pipeline applications. We perform installations in all 50 states, Mexico, the Caribbean, etc. Our install crews carry TWIC cards, CDLs, welding certifications, and carry OQ qualifications for a variety of installation services. We install new systems, start up new systems, repair and retrofit existing systems to meet the latest standards and requirements. Crews arrive fully equipped with mobile shops that carry almost every piece of equipmentnecessary to take on the most challenging installs. Our road crew is very knowledgeable and will help with any service needed. Our crews specialize in electrical, civil, and mechanical disciplines which allow Titan Industries to offer fully turnkey installations from engineering and CAD design to commissioning and startup.